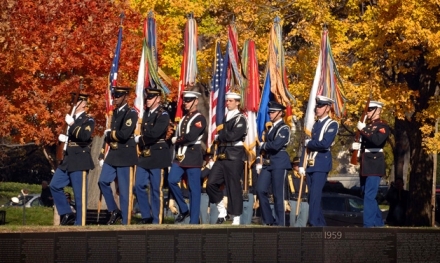 Since 1919, Veterans Day has stood as an opportunity for the United States, as both a nation and its citizens, to pause and honor American veterans of all wars. News about observances in Washington at which the Legion will have a presence. Access to the yearly ceremony held by USAA, the Legion’s preferred provider of financial services. Links to everything from Legion materials that posts can use to hold their own observances in their communities, to discounts and free offers from restaurants and companies eager to do their part to participate. 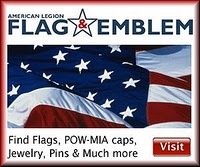 Visit the Veterans Day page here. Veterans Program at the Hominy High School at 12:30 a.m.
—Lunch for Veterans starts at 11:30 a.m.
—The flag raising will be held at 11:00 a.m.
—The invocation and individual songs will be at 1:30 p.m.
—The evening meal will be held at 5:30 p.m.
line up by 10:00 am by the First Baptist Church.